The development of limb muscle has been well studied in most land dwelling vertebrates such as humans and modern research models. In these species, muscle precursors, or cells that will form limb muscle, travel to the limb bud, a location in the developing embryo where they multiply and form muscle tissue under the control of genes that coordinate limb-muscle formation, such as Lbx1. 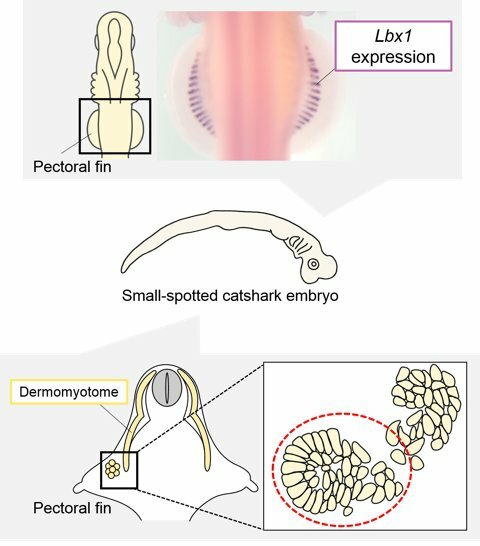 It has been shown that this mechanism of development is shared with bony but not with cartilaginous fish.